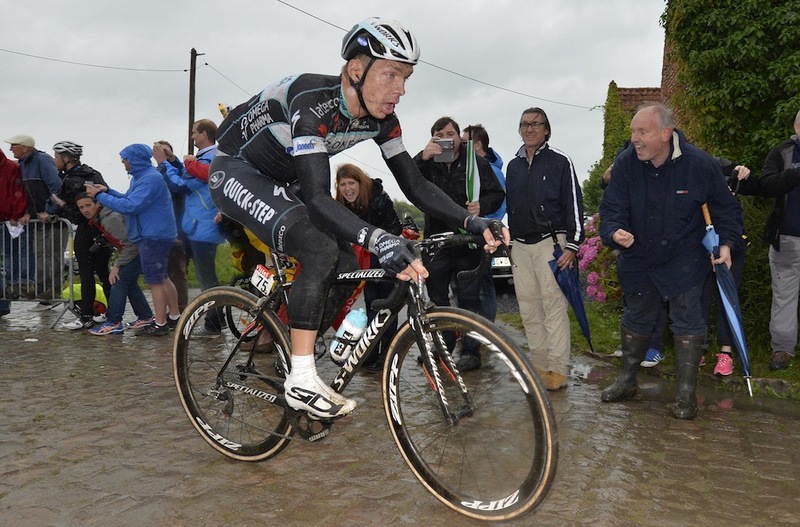 Could Tony Martin succeed in the cobbled Classics? 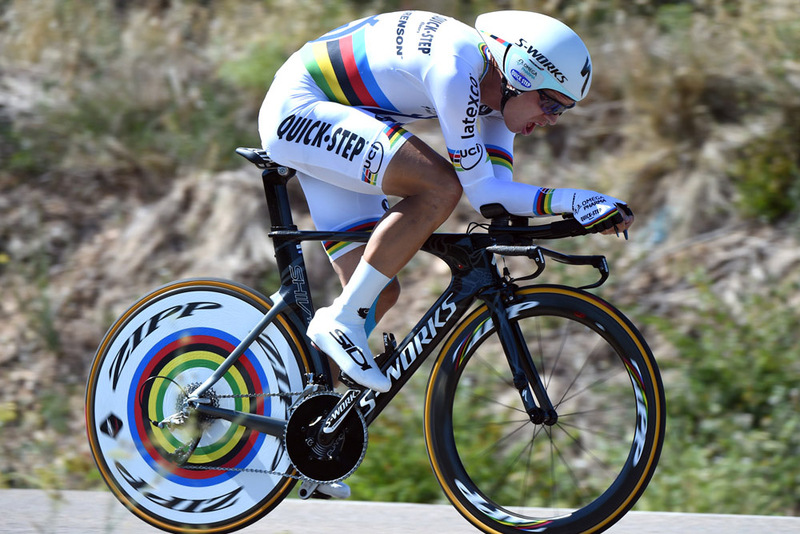 Tony Martin says that he is “open” to attempting a campaign at the cobbled Classics in the next few years, but admits that it might be difficult to find a place for him an Etixx – Quick-Step team filled with Classics specialists. Though he’s never ridden the likes of Paris-Roubaix or the Tour of Flanders, Martin impressed with his performance on the cobbles during stage five of the 2014 Tour de France, and it was that experience (despite crashing) that helped curb the ‘reservations’ he had about the cobbles. Moreover, the German seemingly has the power and ability akin to other time trial and Classics specialists such as Fabian Cancellara and Niki Terpstra, that could allow him to succeed on the pavé. But finding a place in the cobbled Classics line-up of his Quick-Step team could prove difficult, with two former Paris-Roubaix winners in Terpstra and Tom Boonen in the squad and a strong group of riders around them. And although there are a lot of advantages to riding with such a strong team, Martin says that their successful Classics record means there’s high expectation on all of them to perform, something he’s not sure he’s ready for yet. “For sure in this team no [chance of a place in the Classics],” he said. “I can’t imagine it as I know the team is super-strong in the Classics and I don’t want to be the guy who messes it up to be honest. “On the other side,” Martin continued, “if you’re one part of the team you just have to follow the seven other guys and you just go where you have to be, which is nice. “But I don’t want to stand in the way, we have a really good team – it’s always a big fight to get into the races, in the Classic races, and like I say I don’t want to be the one who messes it up, because every rider counts in the Classics. Quick-Step team management have been keen on the idea of placing Martin in the Roubaix and Flanders squads, with directeur sportif Brian Holm insisting that the German just needs the confidence in order to perform on the pavé. “I spoke to Tony after [the Tour cobbled stage] also and I think it was [sport and development manager] Rolf Aldag who had the idea to put Tony in Paris-Roubaix,” Holm told Cycling Weekly. “He saw that he could do it and wanted to get him in it. If we get Tony in there and he gets his engine started, no-one is going to catch him. He’ll be something like Cancellara probably. The three-time World Time Trial Champion not only has his attention this year on reclaiming the title he narrowly lost to Bradley Wiggins at the 2014 worlds, as well as the Tour de France, but is focussing on performing better in short stage races, with Paris-Nice next on the horizon. Although Martin is serial one-week stage race winner, including a victory at the Race to the Sun in 2011, he maintains that he dislikes riding in a GC role, casting doubt on whether he’d ever extend his aims to targeting a grand tour in a Wiggins-esque fashion if the parcours suited him. “[I’ve] No plans in the next two or three years to target them [grand tours], but then we’ll see,” he said. “There are a lot of whens and ifs [about the parcours], but we will see in the future and the next few years. “I think the chance is really small,” he adds, “and I don’t really like to ride GC, especially in the bigger races.